Here we go again; this should pick up where the last list left off… First a recap. Matthew Pierce: I write stuff. Sharefaith Magazine – The Best in Church Leadership, Worship, Tech and Gear! It’s been a full year since we last ran an update of some of the Christian blogs I’ve bookmarked in my computer. The blogroll that appears daily here is only a small part of the sites I have visited or used in the compilation of the weekly link list and includes some well-known writers and some obscure ones. James Edward Sharp | … musical take on the world. spiritual maturity | What does a mature Christian look like? Thimblerig’s Ark | One writer’s journey through faith, art, and life. Exceptional Christian | Christian living – a lifelong learning process, striving to become more like Jesus Christ every day. Feel free to use the comments to make suggestions for others I should consider, but check the other lists — use your computer’s ‘find’ feature — to make sure they haven’t already appeared here. Note: If you find something here where nothing has been posted for six months, let me know and I’ll delete it. Also, if you find a link which points to a specific article rather than a homepage, let us know that, too. Includes some core blogs I use frequently never listed before — see second section. Orthodoxy | Whatever I feel like writing about at the moment. 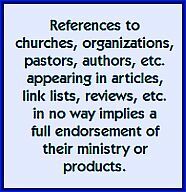 I also wanted for the first time include some favorites that I keep in a separate section I call “Aggregators.” These are people who, while not listed in the “Christian News Sources” I listed in a previous list, often run multiple links similar to our Wednesday Link List. If I have trouble finding stories on Tuesday night, I know these sites have probably got some worth stealing. There are some inconsistencies in the type of blogs/sites listed here, but they all have in common that they potentially link you to other sources, at the very least in their own blogrolls. (Things like Alltop are part of this list as I have it, but I’ve left them out since they’re here every day in the list at the side margin.) 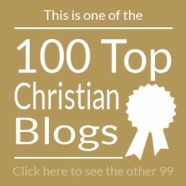 Some of the top Christian blogs are included in this list, don’t complain to me if you spend hours in this section! True Woman | True Woman: Now Is the Time. Scribblepreach.com | Faith for Thinkers. Digital Evangelism Issues – the blog about web outreach, ministry and evangelistic strategy. Bronwyn’s corner | Fueled by grace, laughter and caffeine. Sayable | Here is the time for the Sayable. Here is its home. Laughter is a Leap | Let’s hop to it! 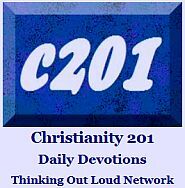 Paul’s Ponderings » Thoughts from an imperfect disciple. Mark Moore’s Blog | I’m simply an apprentice. . .
Front Page About – Am I Called? Also, here’s a revised extended news link list, which overlaps on what you see daily in the side margin. If you know someone just starting out in Christian journalism, this list is worth its weight in gold.